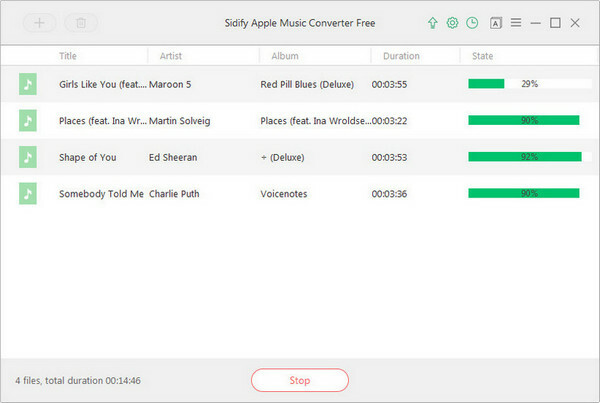 Sidify Apple Music Converter Free is a well-designed freeware for Apple Music Windows users, with which users can free download Apple Music songs / iTunes M4P music / iTunes M4A, M4B audiobooks to MP3, AAC, FLAC or WAV format. What's more, the information of Artist, Album will be preserved after conversion. Note: If you'd like to get Apple Music with the highest output audio quality, please upgrade to the Pro version. How to Free Download Apple Music to MP3 with Apple Music Converter Free? 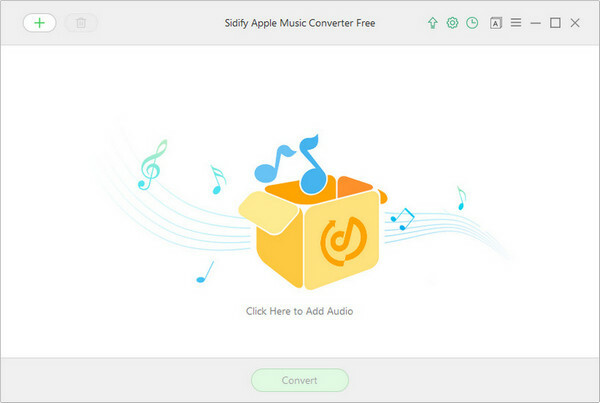 The following part is a step-by-step tutorial on how to use Sidify Apple Music Converter Free to download Apple Music songs or playlists as plain formats - MP3, AAC, FLAC, or WAV. Click button and you'll then see the Apple Music in your iTunes library. Select the songs you want to convert and click "OK" to import them to Sidify. Tip: If you want to delete a select file, you can choose the song and then click button to remove the music from the main panel. Click on the " " button at the upper-right corner, and a window will pop up to allow you to choose output format (MP3/AAC/WAV/FLAC), output quality (128kbps/256kbps/320kbps) as well as output path. 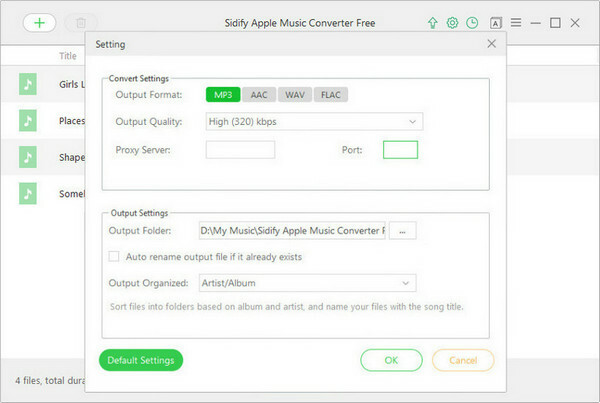 Tips: Sidify Apple Music Converter Free supports sorting out output audios by Artist/Album, Album/Artist, Artist or Album. Once saving the settings parameters, you can click "Convert" button to start downloading Apple Music songs to MP3 for free.